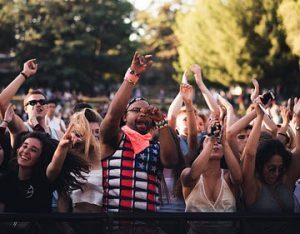 Most people interested in the history of government UFO research are aware of Project Magnet, a Canadian government research effort to understand the cause of UFO sightings across Canada. Project Magnet was essentially the Canadian version of the American Project Blue Book. However the Canadian effort to understand the UFO phenomenon was smaller in scope. The approach was the same. UFO sighting reports were accumulated and rated in terms reliability, on a scale of 0% to 100%. The official documents outlined numerous fascinating sightings, but ultimately turned up no solid evidence that UFOs were extra-terrestrial in nature. Project Magnet was the brain child of a Canadian radio engineer at the Department of Transport by the name of Wilbert B. Smith. The Canadian Archive Library contains all released formerly-classified douments on the project. What’s clear in Smith’s memo is that he was very much a believer that UFO sightings were extra-terrestrial in nature. However, when you observe the actual sightings analyzed by the Second Story investigative reports, there is no evidence at all proving the sightings were extra-terrestrial. Project Second Story was a sub-project of Project Magnet. This project involved collecting data about observations of UFOs. Every sighting investigated included a completed “Sighting Report” with extensive details about both the sighting, and the witnesses. The UFO sightings that came out of the Project Second Story documents are actually pretty fascinating. Ottawa, May 1, 1952 (90% reliable): 6 witnesses saw a round bright light streak across the horizon. Halifax, May 26, 1952 (81% reliable): 4 observers saw a “brilliant blue light” streaking from south to northeast “leaving a trail behind it.” The sighting lasted about 2 seconds. 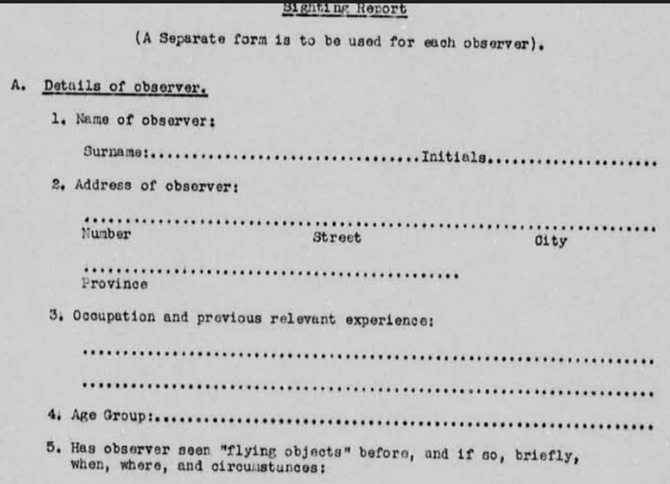 Halifax, June 15, 1952 (75% reliable): A meteorological assistant saw a “large silver disc” moving at an altitude of about 5,000 to 8,000 feet before traveling vertically up to about 12,000 feet. Estimated diameter of the disc was 100 feet, with a speed of 800 miles per hour. Ontario, June 20, 1952 (86% reliable): 5 witnesses saw a “brilliant object” move across the Eastern sky for about 4 seconds. Peckfords Island, Newfoundland, June 27, 1952 (71% reliable): 2 lighthouse keepers spotted a reddish light traveling above the horizon. Ottawa, Ontario, July 20, 1952 (74% reliable): One observer saw a “tear drop shaped object” for about 4 seconds before it disappeared into a cloud. Ottawa, Ontario, July 25, 1952 (74% reliable): Witnesses observed a V shaped formation of “seven bright objects” — bright, bluish, glowing round objects. Macdonald, Manitoba, August 27, 1952 (73% reliable): 2 meteorological officers spotted a “disc shaped object” at 5,000 feet above MacDonald Airport. Witnesses reported that the object “glinted like shiny aluminum”. Smith claimed that his approach as of the third variety, however instead of going “to work on them”, he ignored all possible hypothesis and instead jumped to the most outrageous one immediately. “Of the eleven strange objects the probability definitely favours the alien vehicle class, with the secret missile included with a much lower probability”. It isn’t clear why Smith gives the secret missile (or aircraft) explanation a lower probably than a ship arriving to Earth from an unknown planet, piloted by an unknown species of intelligent beings. First, Smith dismisses the fact that witness accounts of speed and distance of a craft are highly subjective, given the fact that most accounts are drawn from memory and not from the recorded observations of scientific instruments. It’s at this point in the memo where Smith’s deductive reasoning appears to fall apart. It’s obvious from the memo that Smith has no such prejudices to the contrary at all. In fact he bends over backwards to create the illusion that the probably of an alien race visiting Earth is somehow more probable than a terrestrial government achieving flight technologies, in the 1950’s, unknown to the public. They say hindsight is 20/20. That’s why in 2018 we have the perfect vantage point to analyze what technologies might have been available (but unknown to the public) in 1952. Particularly, aircraft that might match the descriptions provided in thes reports. The Avrocar was a top secret flying saucer project built in collaboration between the U.S. Air Force and Canadian company Avro. 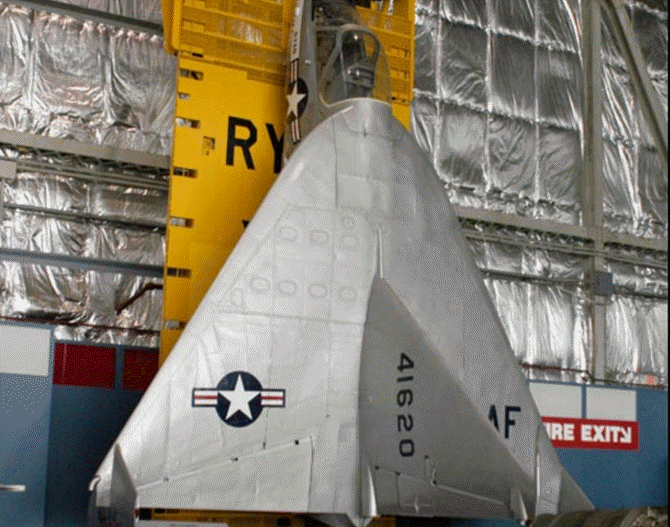 The U.S. Air Force “Vertijet” – the first vertical takeoff airframe that went into development in 1947 must have been an impresive sight in the sky — particularly during the early years when experimental test flights would have been taken place without public awareness. 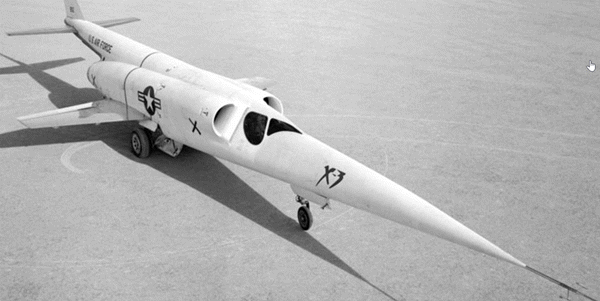 Also undergoing experimental test flights in the early 1950’s was the Douglas X-3 Stiletto, an aircraft designed to reach the Mach 2 goal of the day. The public would have been completely unaware such an experimental aircraft existed, and any sightings of it in the sky would have certainly raised many eyebrows – it’s shape and design was completely unconventional. The likelihood that sightings in 1952 were experimental aircraft was much more probable than Smith’s hypothesis that the aircraft were extra-terrestrial in nature. But, unfortunately as usually happens when people “want to believe” — he let his beliefs cloud his scientific judgements. Just like most other projects throughout the years that attempted to make sense of UFO sightings in the 1950s and 1960s, Project Magnet failed to develop any proof or evidence. It’s always exciting when documents related to UFOs get declassified by any government. Unfortunately, Project Magnet documents are just another dead end.